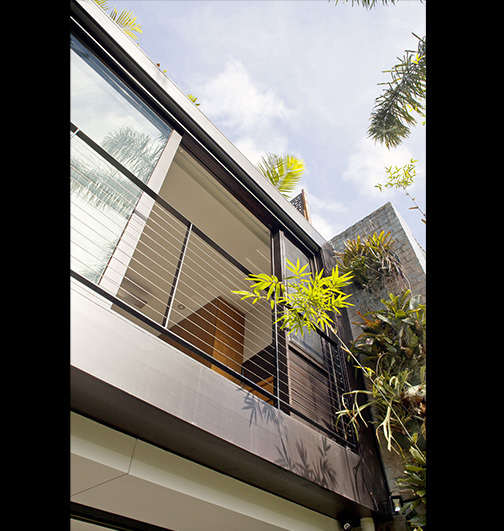 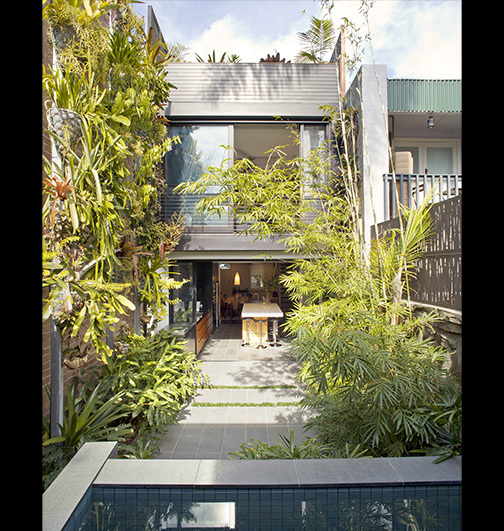 This Surry Hills terrace was transformed with all the modern amenities of a large house, yet on a small site on the fringe of the CBD. 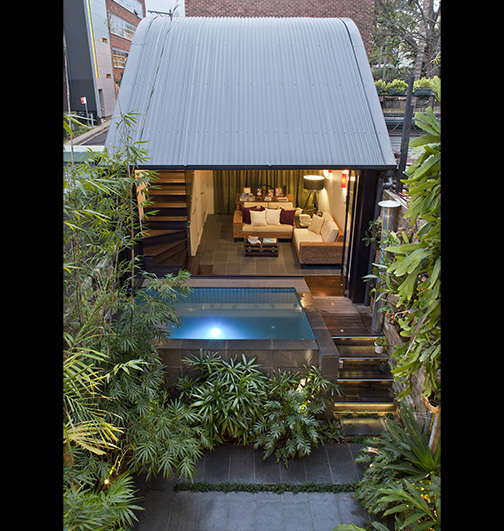 The owner’s brief was to create an inner city oasis that included a plunge pool and an outdoor entertainment area surrounded by lush gardens. 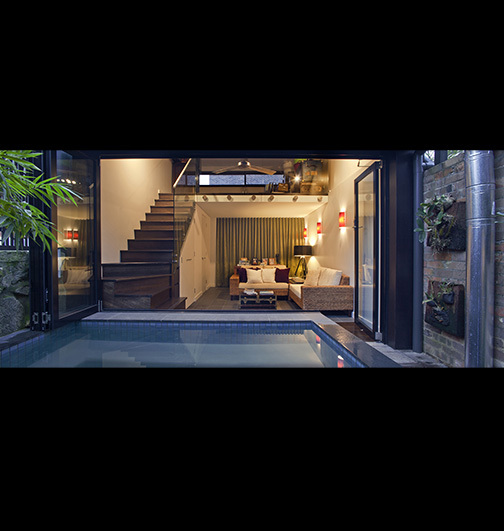 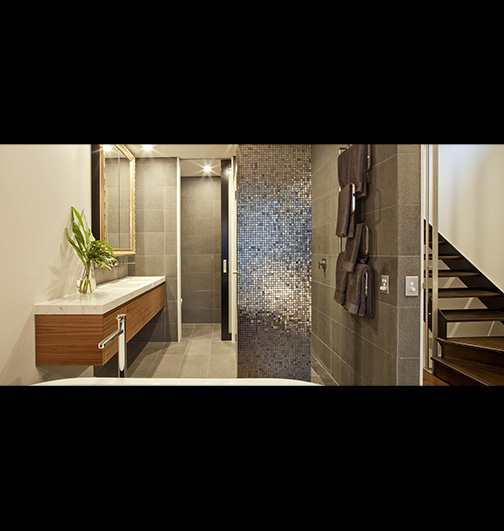 The existing garage was converted into a dual space to be either a garage, living area, or pool room opening onto a plunge pool. 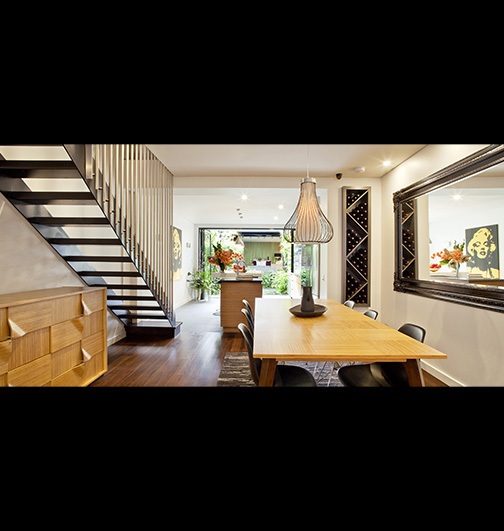 In addition, a mezzanine was added giving an extra bedroom. 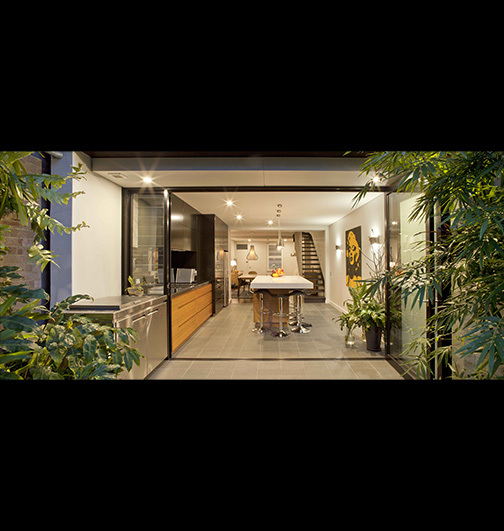 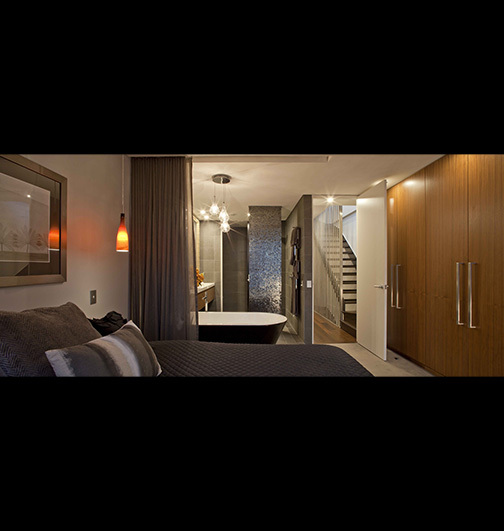 Through innovative use of space, we were able to create a home with four bedrooms, dual living areas, garage, pool and roof terrace on this small inner city block.